Dessert is always a necessity, especially when friends are visiting. Especially, when those friends, I consider like family. So, naturally, I was so happy, when my friend decided to visit and stay for dinner. I wanted to make something sweet, but I didn’t want to do the same old chocolate cake. 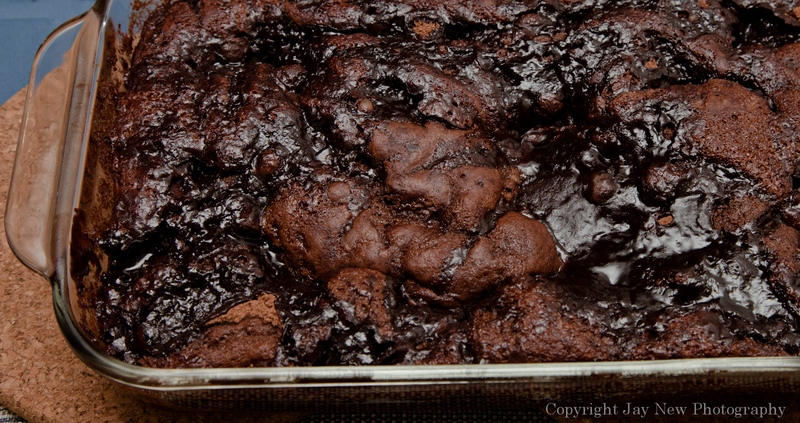 So, I decided to do a chocolate pudding cake. This is an interesting cake. It is a mixture of small areas of cake, with some areas of delicious pudding and a chocolate sauce. Best part, easy to make and didn’t take very long to bake. I served this with some Vanilla Whipped Cream (see bottom of post for recipe). This recipe has 3 parts to it, so I have divided the ingredients into parts. The ingredients per part, are to be made separately, before combining it in the end, in layers. Bake for 25 minutes until the cake pulls away from the sides. Allow cake to cool for at least 10-15 minutes before serving.